We’re sure that several rooms in your home have tile in them. Tile is a beautiful investment in any home and can ensure that spills won’t stain like they do on carpet. Tile can seem easy to clean by just sweeping and mopping it occasionally. However, tile requires a more in-depth cleaning every so often to prevent bacteria, grime, and other dirt build-up. If your grout is discolored, you’ve experienced this. Though a toothbrush or a sponge seem like great cleaning tools for this kind of work, your tireless scrubbing will never quite reach down to where the dirt and grime have collected. Because tile is extremely pros, dirt can easily get trapped in the flooring and can be difficult to get out on your own. 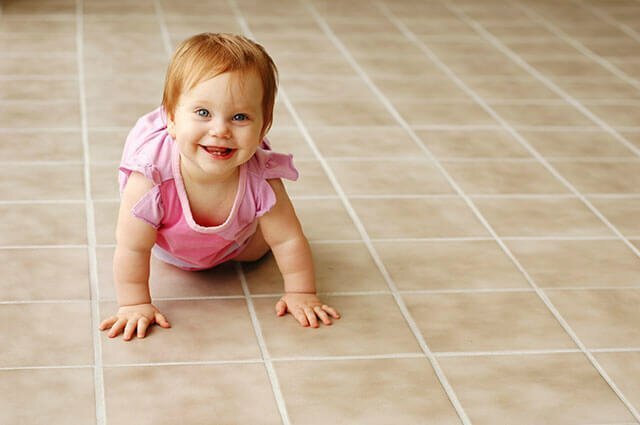 A professional tile cleaner in Raleigh, like Chem-Dry of Wake County will not only save you from the back-breaking labor but will give your floor a shine that will keep it looking cleaner for longer. We know that you are busy and don’t have a lot of time to spend sitting around waiting for your kitchen floor to be ready to use. 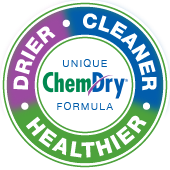 That’s why Chem-Dry of Wake County offers the driest tile cleaning service. Your tile and grout flooring can be cleaned and sealed on the same day, and freshly cleaned floors can tolerate light traffic in as little as four hours. With our tile cleaning service, you can be back on your floors and living your life in no-time. The tiled rooms in your house are some of the most important, we get that! We work hard to ensure that our services cause the least amount of disruption to your busy schedule and home life while still getting the most effective clean. That’s one of the many reasons why Chem-Dry of Wake County is a popular choice for tile and grout cleaning in Raleigh. At Chem-Dry of Wake County, we not only provide an excellent tile and grout cleaning process, but we also make sure that these services are performed by a professional whose top priority is your satisfaction. Our technicians have the training, knowledge and experience to evaluate your tile and grout, identify your needs and select the proper products, tools and equipment to deliver a result that will exceed your expectations. Chem-Dry of Wake County is dedicated to providing the ultimate tile and grout cleaning service in Raleigh and the surrounding area. Contact us today at (919) 285-3140 to get a great deal and set up your tile cleaning appointment today!